I Can Teach You How To Become The Most Sought-After Marketer in Your Community! Just a few years ago you could waltz your way into the local business scene as an SEO, Web Dev, or Mobile specialist and take advantage of their ignorance toward "internet marketing". But it's not like that anymore! Brick & Mortar's have been solicited for years now, being pitched the same digital doo-dad services left and right that they're virtually immune to them. The only ones selling these services successfully are ones who've built relationships based on trust and experience. So if you're new and looking to make a splash in your community... selling almost anything digital as your main offering is like a suicide mission. If you want to get your hands deep into local owner's pockets, you need to offer things that are easy for them to understand and see results with. Not some ten dollar product a guru managed to fabricate between circle jerk sessions with his promotion buddies. I'd like to share with you my treasured arsenal of proven and working marketing 'devices' that will give you the ability to deliver explosive response unlike anything you've ever seen. These are secrets so good that I'm full confident you'll become the hottest marketer in town; able to outperform virtually anyone who dare say they can deliver results. Response Than Anyone Dreamed Possible"
You and I know direct mail is the king of all advertising. It'll outperform anything else by leaps and bounds, including whatever the hottest internet marketing 'fad' happens to be. If you want to make your clients phones ring off the hook, direct mail is your ace in the hole, and I'd like to teach you what's proven to work, and work fast. Speed matters, because any of you who've sold SEO in the past and had to use the line "just stick it out for six months" know that business owners want results NOW; not in six months! Can Turn You Into A Marketing God"
If I could take all the 'hype' in existence, it wouldn't be enough to explain how powerful just one particular secret for delivering ultra-high response is. What's even more astounding is you can be a completely nut-headed newbie and within moments of learning it, be able to deliver results better than even the most skilled marketers can do today. 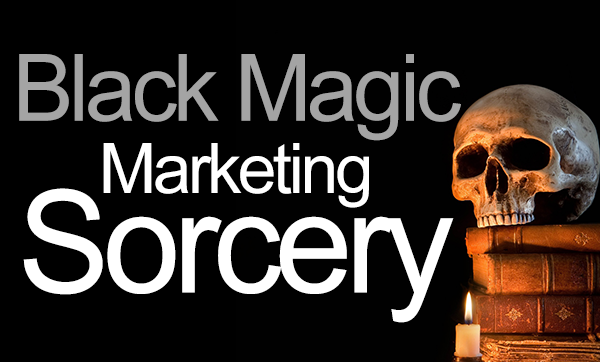 You'll be soon considered a practicer of marketing voodoo. Someone who can perform mysterious marketing miracles when you produce specific information that will bring your clients so much money you'll be hailed as a revolutionary to their business. No, it doesn't involve ancient voodoo spells, incantations, or magical potions. But it will make your clients believe you're some kind of mystical sorcerer that's able to perform marketing feats beyond words... I promise you that. With this simple piece of information I'm going to reveal, you'll be able to vanish away the greatest challenge of marketing that business owners face today. American business owners need another "challenge" about as much as Warren Beatty needs help getting dates. I wanna sell heroin to junkies. Fudge bars that make you skinny to porkers. That's my idea of a desireable kind of challenge! When it comes to direct marketing, the most profitable habit you can cultivate is the habit of constantly being on the lookout for groups of people (markets) who have demonstrated that they are starving (or, at least hungry) for some particular product or service. To Find Those Hungry Buyers!" The biggest challenge to making a direct mail campaign successful is finding an audience that's likely to buy. You don't have to resort to selling things for half off when you have an audience that's already likely to be interested. I can show you just how to find those people for YOUR clients at the click of a button. And then be able to reach those likely buyers directly while you make insane amounts of money in the process. 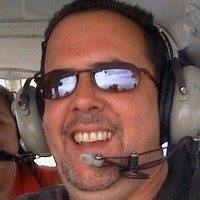 All done in a secretive way that will drop the jaws off your clients and have them bragging to everyone about how you... their "new marketing guy (or gal)... is somehow able to discover these likely-to-buy prospects using information that the FBI, NSA, or even the IRS wouldn't know! If you're reading this page, you must be a valued follower of mine already, so thank you for enjoying my "stuff" over the years. It really means a lot. I'm excited to announce a long-needed change in my "bob ross" business. Fortunately, you're going to benefit largely from it. See, I'm tired of only releasing a "big" $200 - $500 product every six months. Instead of working on product launches I'd rather be putting together helpful tutorials, offering my support, and concentrating on the free podcast where we can keep sharing inspiring methods and success stories of others just like you. 1. I feel that's what they're worth -- and still be a bargain. 2. I like to feel like the many hours per day I spend answering your emails and helping everyone out is worth it. Yes I love helping, but I'm not a Charity. I've got two other businesses I'm running, plus 5 kids at home! So... if I'm going to focus on giving even better support and offering even more free content (like my podcast) I have to switch to a monthly recurring business model where I don't have to feel like I've got to charge an arm and a leg for every guide I put out. That means... you get a wicked arsenal of some of my most treasured money-makers that I believe will transform your business in ways you can't imagine... and I'll continue to update it with ongoing training and tutorials so that you always have the most proven and working information on-demand at your fingertips. If you give my Elite Membership a try, you'll find I've prepared a robust series of tutorials, guides, and action courses for you that are guaranteed to make your bones wiggle with excitement. 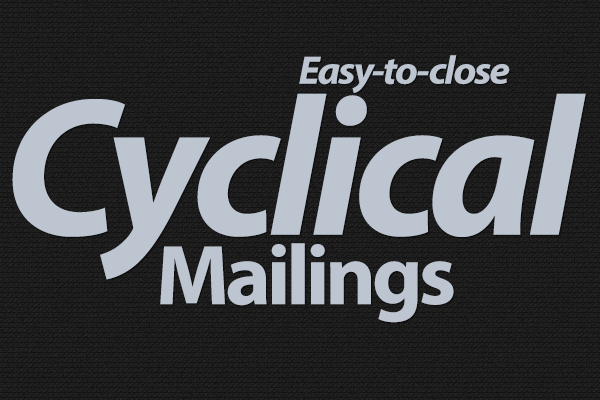 When 9x12 isn't an option or if you're helping them explore new territory, just offer these easy-to-buy cyclical mailings which makes mailing affordable (and profitable) for everyone. 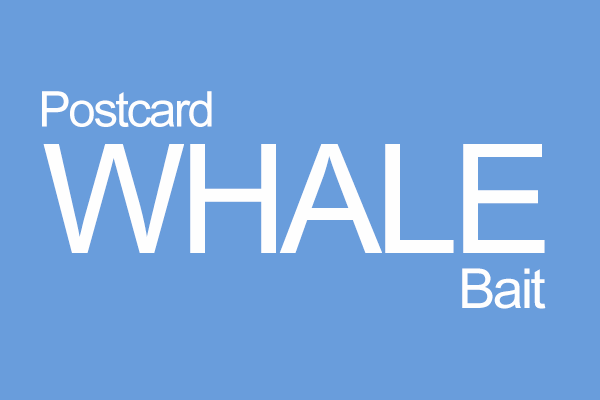 How to Grab High Paying Clients Using Postcard "Whale Bait"
I'll show you one of my most treasured ways to reach the most difficult-to-reach decision makers via postcards and even sell them specific services in one fell swoop! Arm yourself with a certain resource that no other marketers in your area are using. You'll not only be able to deliver massive response, but you'll look like the second coming of the Marketing Christ when your client sees what you can do. 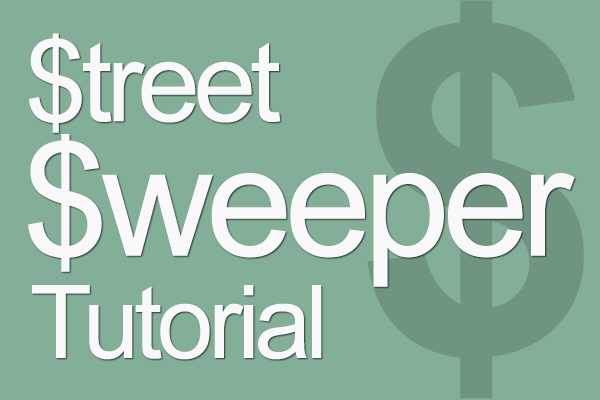 How to Deploy Lead Busting "Street Sweepers"
If you'd like to send a rush of business to your client on-command, then simply deploy these lead-generating mailpieces that are darn near guaranteed to bring every hungry buyer out of the woodwork and into your clients laps. 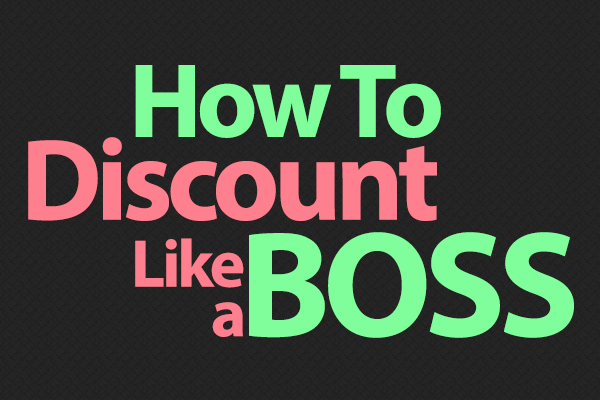 Don't be afraid to discount. Now you can Leverage it as a closing tool! I'll show you just how to walk away with even more in return... with an ecstatic buyer left in the process. I guarantee you're giving one critical piece of information in your 9x12 pitch too soon. Simply by withholding it, you'll open a whole new world of selling that turns the tables on the prospect and makes YOU the dominant party! Just copy mine and see results immediately. This comprehensive action course is your soup-to-nuts blueprint for launching your 9x12's seamlessly. Well Jake you’ve done it again! I’m not sure where or how you come up with these business ideas but I have to say that you are a genius. I listened to your Marketing Sorcery Secret just before stepping unto a plane for Portland and I’m having second thoughts as to if I should leave or just stay and implement this concept of yours! Any chance we could keep this to ourselves? Truly a marvelous way to find buyers with crosshair/sniper precision. I've never met a more friendly, helpful and available product creator. His material is top quality, market tested, and easy to implement. For those wondering if Jake's methods work, I can say that in a period of less than 4 months, I had clients writing me checks for $10,000. 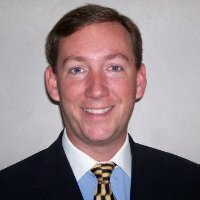 Jake's methods are for real people wanting a real business that makes real money. If that's you, click buy and don't look back. You won't regret it. With Elite Membership You Also Get Access To The Best Marketing Discussion Group on Direct Marketing Today! You'll get 'round the clock access into the most inspiring, supportive and plain 'ol awesome community of direct marketers on the internet today... my secret 9x12 Facebook Discussion Group. 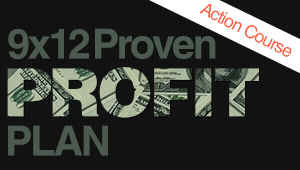 You'll learn what's working by others just like you (and I) in real-time on a daily basis. You'll have virtually every question you can think of answered by myself and/or others who are in or have been in the same exact position you are. Inside our community, we pay it forward and keep each other going by sharing our methods, strategies, successes, and mistakes so that everyone can benefit. 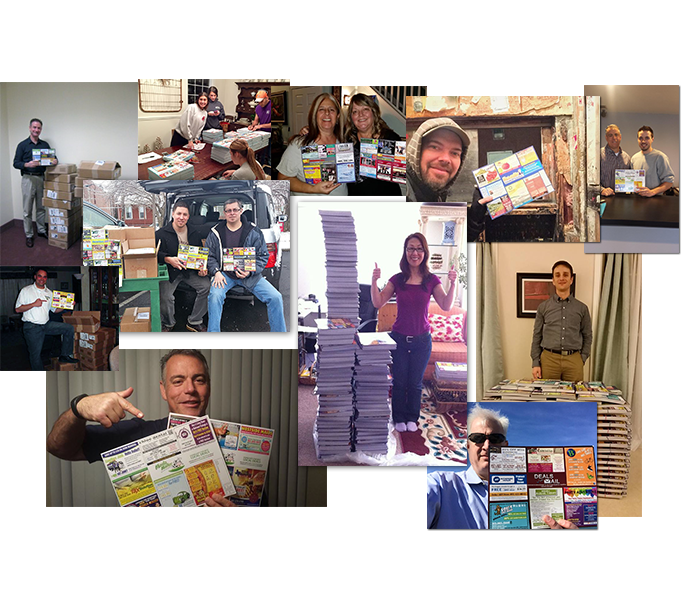 Success Stories in Our Community Are Posted Constantly, You'd be CRAZY Not to Join! Whether you've yet to start a 9x12 card or already have dozens under your belt... you'll sell them easier once you learn my prospecting, pitching, and closing secrets. Start dominating your local area and providing the kind of results no one else can deliver. You'll have everyone shaking in their boots. Never lose a PDF or document again, it's all on the site. Audio, Written, and Video formats available for whatever you learn best from. Instead of paying $30-$300 for each individual course... get them all for a fraction of the cost. You'll also get monthly updates of new, fresh content. When your clients need their phones ringing, use my proven methods to 'bring the heat' whenever you're in a bind. By using the marketing sorcery in conjunction with direct mail, you'll have an unstoppable marketing force that can generate virtually any amount of business your client can dream for. Even If You're Not Yet in the Direct Marketing Game, These Secrets Will Be Ready When You Need Them. And If You're a Local Marketer... Believe Me You'll Need Them! Access the entirely library of tutorials and guides in the enhanced learning and action courses available at HighResponseMarketing.com. 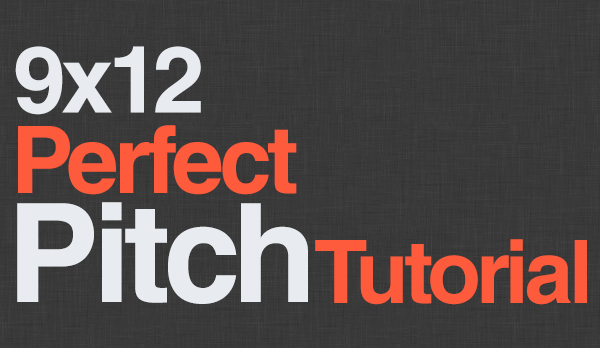 Each lesson includes Video, Audio, and Written content. Jake... I'm not sure I can afford it. You can collect bottles and cans for an hour and make enough to afford it. Or you could smoke a few less cigarettes, eat less McDonalds, or simply buy less marketing crap that doesn't work for a change. If you still can't afford it and aren't willing to make it happen, then why even bother being a marketer anyways? How can you expect someone give you their hard-earned cash when you won't even invest in something that will help them yourself. Can I cancel if I don't feel it's worth it? Yes, you can cancel anytime for any reason whatsoever. I won't hold you hostage don't worry. Because it's easy to see what's available, I'm not offering refunds on previous payment(s) but I'm more than happy to cancel the subscription if you don't like it. I'm a current Premier Membership Subscriber but I want to upgrade, what should I do? Your existing premier membership grants you access to my special printing rates, the premier content area, and most imporantly... your Discussion Group and Forum access. If you'd like to upgrade to Elite Membership and get access to everything you have now plus all of these new tutorials and updates, simply sign up on this page and then email me at itsbobross[at]gmail[dot]com so I can cancel your old membership. Jake/Bob I don't understand why you're offering all this for so cheap, what are you thinking? I'll be brutally honest here. Believe me, it's probably a stupid decision to keep this membership so low but the fact is, I like making things affordable to everyone and I think a sub $50/month subscription is affordable to every serious professional. I want to spend more time on my podcast, helping out members, and creating more and more content within the site. The only way I can do that is to create enough recurring income that I can spend less time on my other businesses and more time delivering helpful tutorials and guides here. Cancel ANYTIME! What Do You Have To Lose?